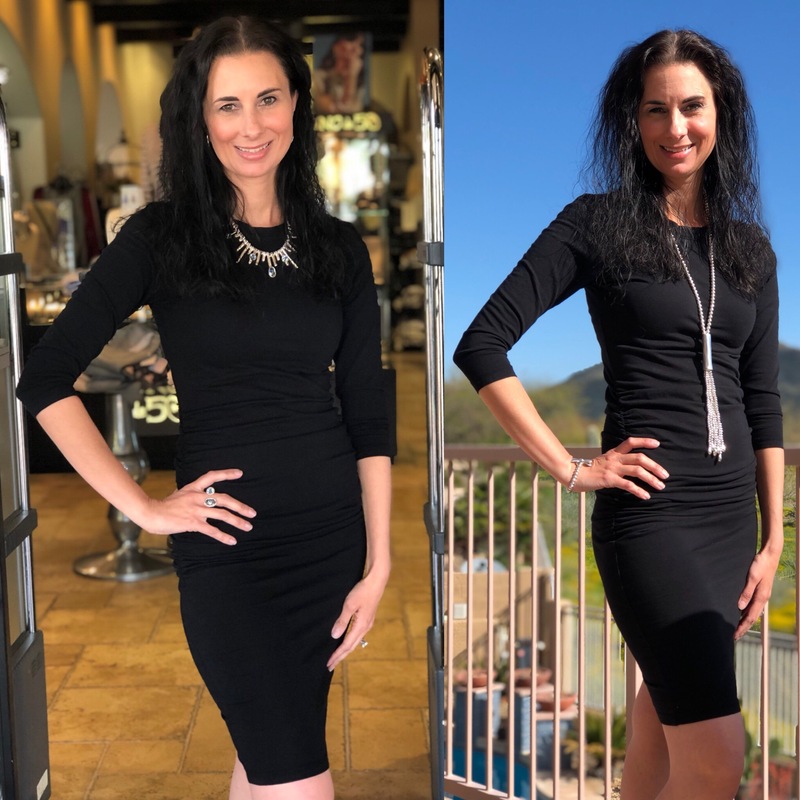 Every girl needs a LBD (Little Black Dress) maybe more! This Michael Stars fitted LBD is one of my favorites. Not only is it forgiving because of the ruching and its length it has an added touch with bra-friendly cutouts near the shoulder and back. It feels both feminine and edgy. I took my look from day to night by switching up my jewelry. For my day look I wore my UNOde50 Jellyfish Necklace and then glammed it up for night with my UNOde50 Orion Necklace and matching ring.